I have always been a worrier. 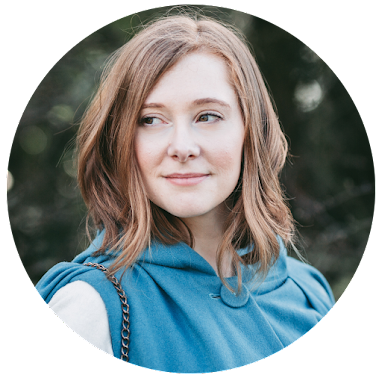 I am easily freaked out by the unknown, scared by the "what if" moments, and generally just can be a little bit of an anxious person. I don't think my overactive imagination and storyteller brain help, and since getting pregnant, things have just got a whole lot worse. It was our first scare that kicked things off. Up until then, I was just plodding along, suffering with nothing more than just a few moments of feeling wound up about things, and generally terrified that at some point in the future I would have to act as a grown up. But since that first visit to the EPAU, I have been a ticking time bomb. Nearly anything can set me off, and my hormones just make it worse. I find myself crying over the irrational and things over which I have no control, probably because in this journey, I can't have control. It is just awful, and poor Ryan just has to go with it, even though we can spend hours upon hours talking over the same points just so I can gain some semblance of reassurance. Factor in to that two other visits to the hospital following out of the blue scares and you have the recipe for disaster. 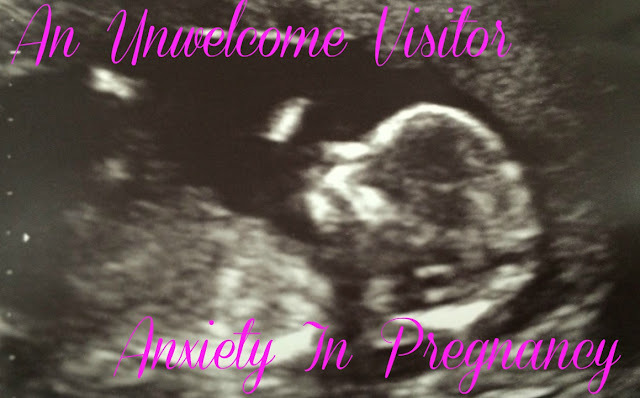 Anxiety is making it impossible for me to enjoy being pregnant right now because I live in fear of something happening again. It is entirely out of my hands, and that lack of control makes it even harder to bear. I'm counting down the minutes until I can feel baby move, and have even had to book a reassurance scan because the waiting to see little nugget was just too much to think about. Why am I telling you all this? Because pregnancy is bloody hard work. And I didn't realise just how much until I was there. It is terrifying. It's like riding a roller coaster in the pitch black - you don't know where the bends are going to take you, and when it's going to stop. And you sometimes don't think anyone will understand. Sometimes you just feel completely alone. But you aren't alone. Be it a partner, a friend, midwife or GP, there is someone always there who can help you out - even if it's just to be a shoulder to cry on. Bottling up and hiding all these fears will only make it worse. But by embracing how we feel (even though we may feel incredibly silly) is one step forward on to a better path. As a first time mummy-to-be everything is a new experience and I don't know what I should be scared of, but knowing I have a support network really, really helps. Even though ultimately we are pregnant on our own, we are not alone. There may of course be times where you aren't able to talk to anyone, or, like I've felt, you just feel completely silly for even wanting to confess how you're feeling. For moments like these, this is where writing can really help. Hence why this blog post is in existence. I don't feel anxious right this second (I'm currently sitting in my dressing gown nursing dregs of a stone cold coffee), but I do feel a little on edge. And for no apparent reason. But by tapping away and bearing my soul to this little space on the internet, I can feel that tension ebbing away. Even if you don't want to talk to someone, talk to no-one. Find a piece of paper and write down your fears, open a Word doc and type out the tension, or just talk out loud to yourself. The more you open up to accept how you feel, the lighter things might get. Anxiety shouldn't be ignored, but it's important for us to realise and embrace our feelings and let them become a part of this experience without taking us over. I'm not writing this post claiming to be an expert. I'm far from it. All this is completely new to me, but after searching the internet for some sort of reference to help me realise that feeling lie this is okay and failing, I just wanted to get my experiences out there. Finding techniques to help manage these anxious feelings is really important for our well being. Pregnancy takes a toll on us, and we need to take some time to think about what will make us feel better, the support we need, and how we can make pregnancy feel as magical as it ultimately should.